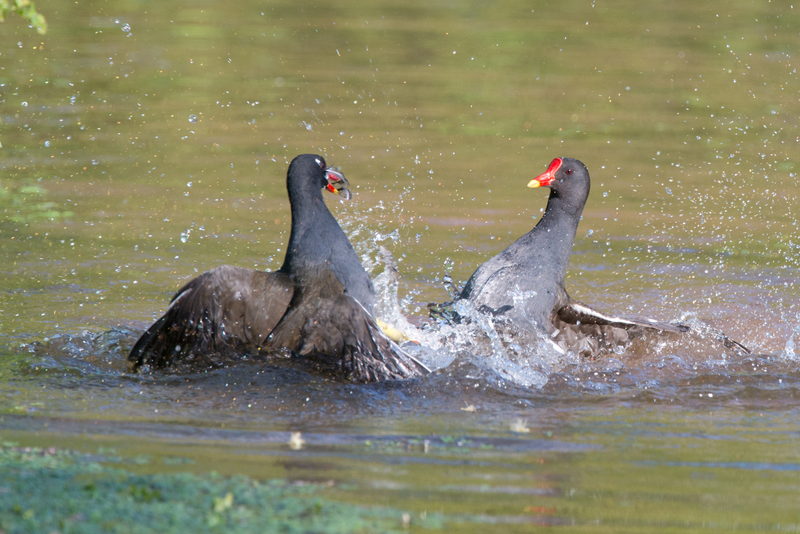 These two moorhens Gallinula chloropus are fighting over a mate, but it is more likely to be two females fighting over a male than the other way round. The male is more likely to be seen passively sitting on the nest. This behaviour typically occurs around April at the start of the breeding season. Moorhens are very commonly found on ponds and lakes around the UK. The adults have a distinctive red beak with yellow tip. When swimming, they often flick their tails, giving a flash of white. These birds belong to the rails family, which also includes coots and water rails. Water birds gallery – Toby Gibson portfolio website. Two moorhens fight and another watches on. 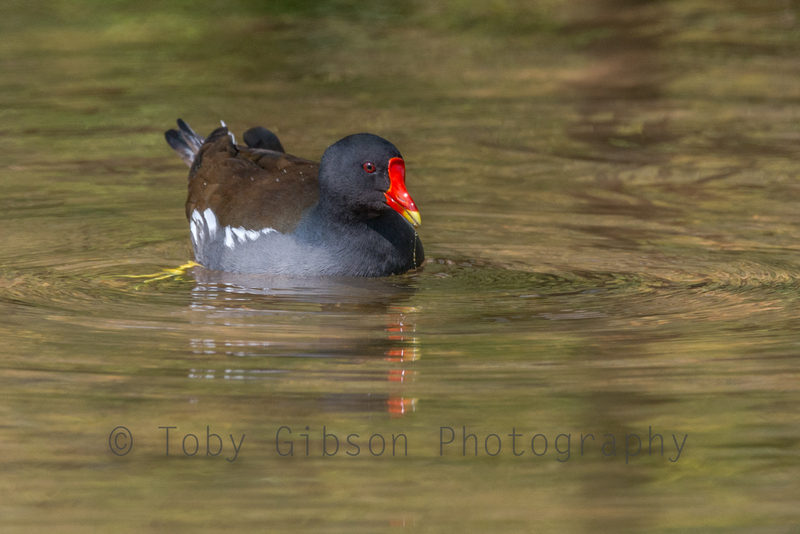 A moorhen swims across a pond. Moorhens have a distinctive red beak with yellow tip. Moorhen fights can be vicious. One of the females in this fight has feathers in its mouth.